The recipe below was developed by SoCalMike, for use in dry baking. Mix all dry ingredients at home, put in a bag and seal. Stir in camp to mix up the ingredients again. 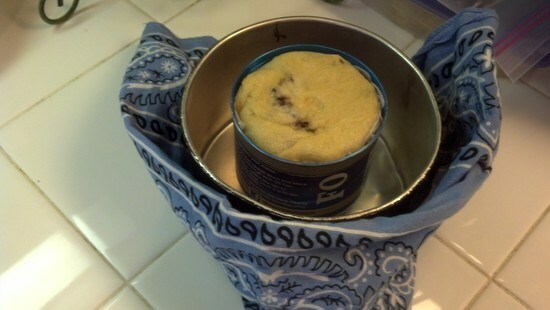 Since many of us use different methods for baking, you may want to try this out with your baking set up at home first before taking out into the wilderness to see how long it takes to bake. I use an odd method with my Trangia + Clikstand. It takes about 33 minutes with my set up. 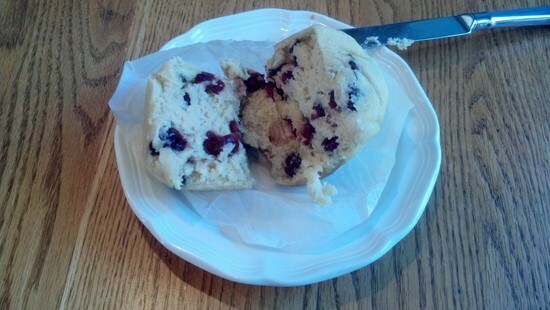 I made mine with cranberries, and had it with butter and honey.